Hello lovelies! 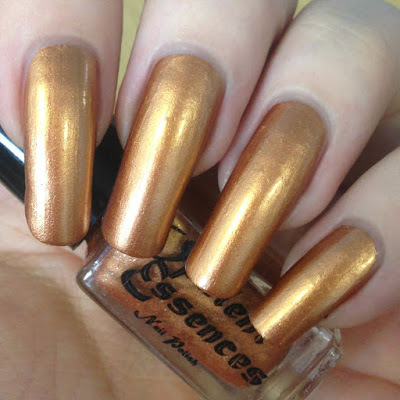 I have two more polishes from UK indie Opulent Essences to share with you. If you missed my swatches of the two new holographics last week, you can find my post here. Today's post will feature both 'Neptune' and 'Liquid Gold'. As always, read on for full swatches and more info! 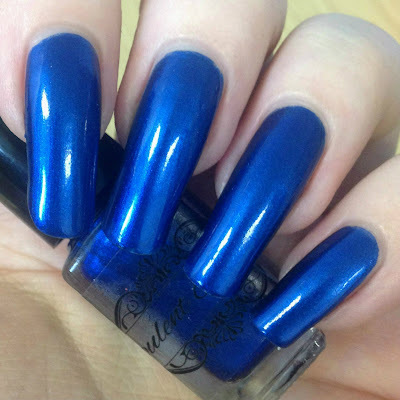 'Neptune' is a rich royal blue with a slight shimmer. I love how deep this is while still being vibrant. 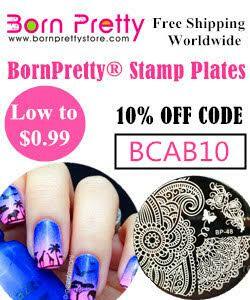 It is smooth and easy to apply, and very opaque. It does dry very quickly, so if you manipulate it too much it may drag slightly. I made my second coat a little bit thicker which avoided any pulling. Below is two coats and topcoat. 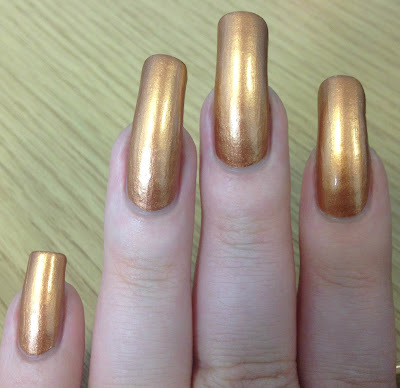 'Liquid Gold' is an almost bronze gold chrome. It is very nearly a one coater. As it is a chrome it does apply with brush strokes. However the majority disappear as it dries, leaving a gorgeous smooth finish. I found this a bit tricky to clean off of my skin, but I don't use pure acetone so that's probably why! Below is two coats and topcoat. What do you think? Both of these pleasantly surprised me! I'm not a massive fan of darker blues but the deep vibrance of 'Neptune' really won me over. I was also really pleased by the finish on 'Liquid Gold', and the bronze tones suit my skin tone much better than a yellow gold would. 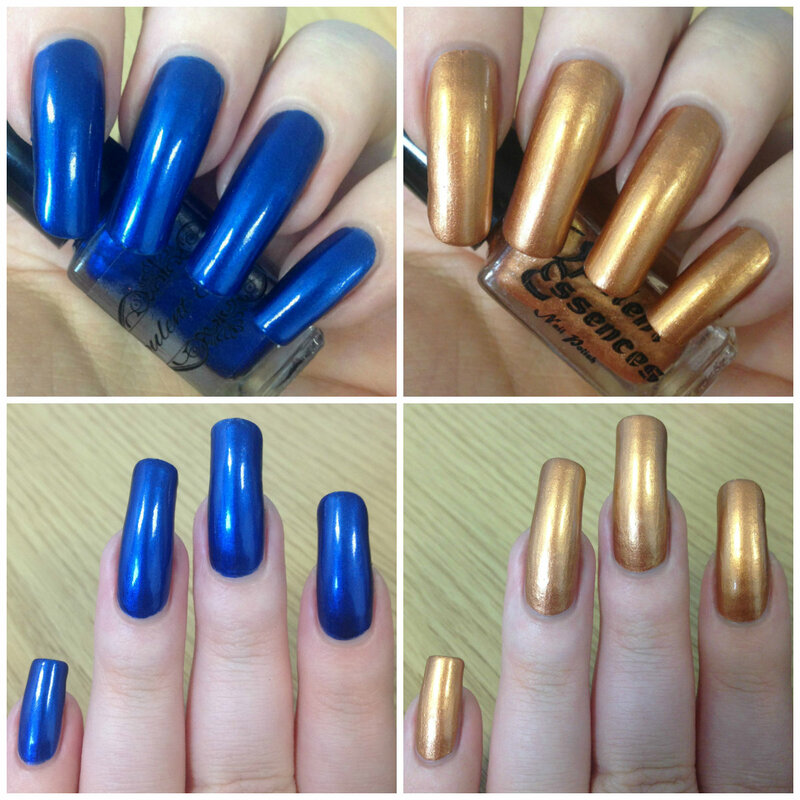 Both of these polishes are currently available on Opulent Essence's etsy store ('Neptune' here, and 'Liquid Gold' here). Remember to also check them out on Instagram here for more swatches. I've order from this company and so looking forward to them coming, I've ordered Neptune because it does look so deep and rich and full of colour! I highly recommended you visit there site and put an order in! Liquid Gold looks gorgeous on you! I'm quite surprised at how bright Neptune is, but I love it! Opulent is the definitely the right word for the brand-- these are so rich and luxurious looking! Neptune is surprisingly vibrant and Liquid Gold just flat out looks amazing! I love both of these colours. Liquid gold is a favourite though - it looks great against your skin. Ooh I love how regal these colours are. I'd be hard pressed to pick between the 2 but I'd prob got for Neptune, blues are my fave right now. 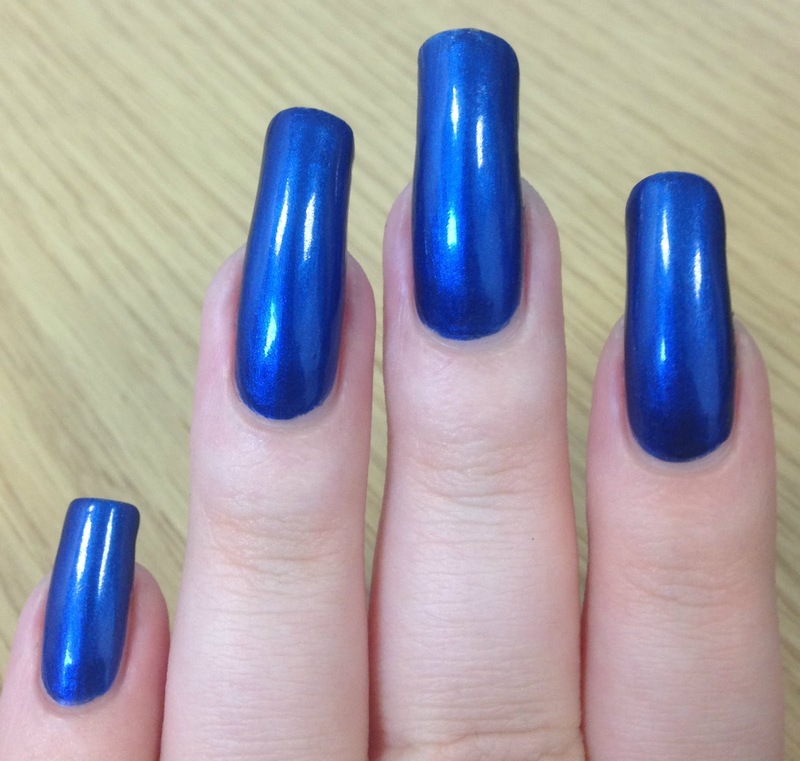 This is the blingiest shimmer blue!! <3 <3 love it! Omg Neptune is just amazing.